I wasn’t really looking for new ear protection; I generally just stick to some simple in-ear ear protection. 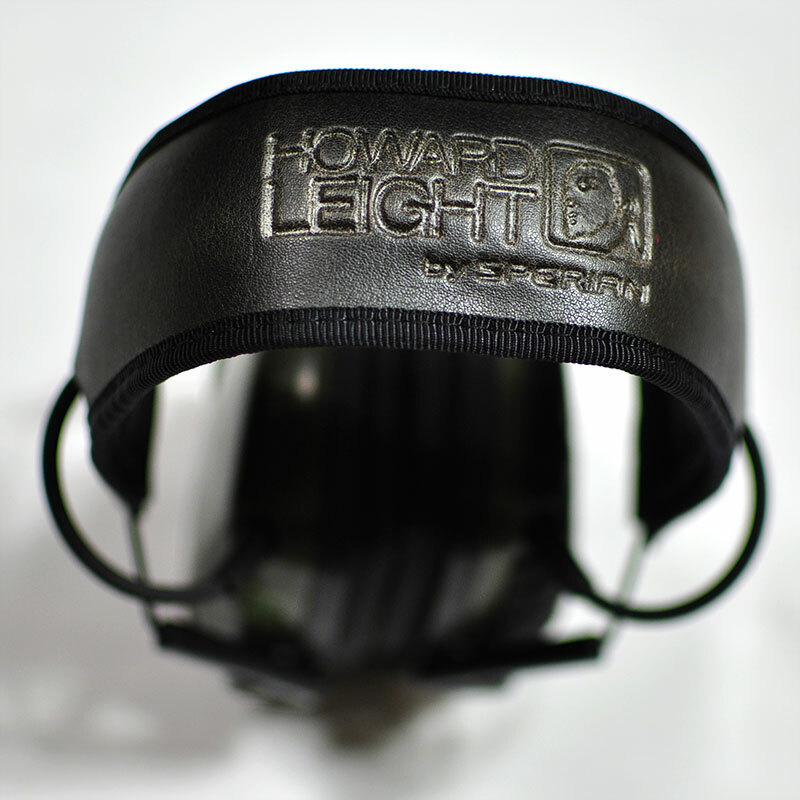 But, on a quick impromptu trip to the shooting range, I threw on a pair of my friends Howard Leight electronic ear pro, and low and behold, I loved them! I guess the saying is true, you don’t know what you don’t know. And I didn’t know what I was missing. 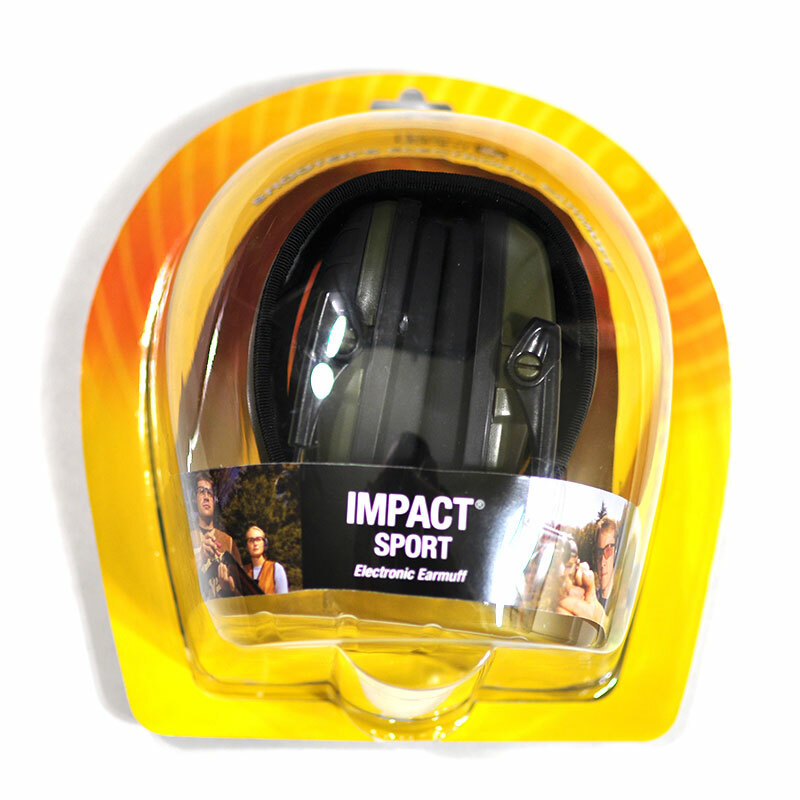 The Impact Sport ear pro blocks sound over 82dB and are rated at 22dB of protection (when used as directed). So, when activated, lower decibel sounds are amplified, and higher decibel sounds are filtered out. 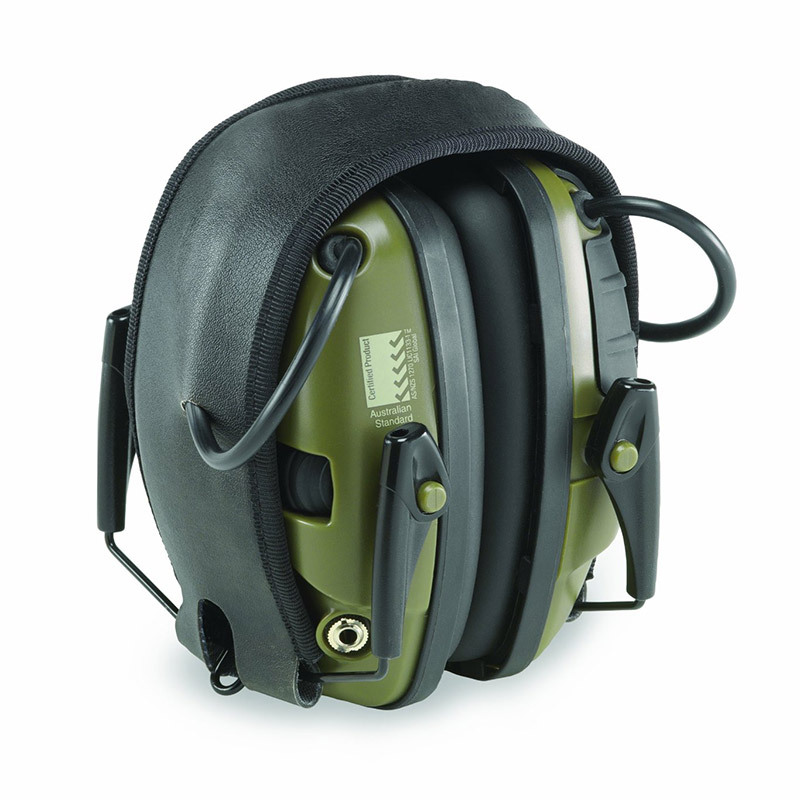 This is explained on the packaging as follows; If the outside environmental sound is measured at 92dB, and the sound protection is rated at 22dB, the sound passed on to the ear is aprox. 70dB. The sound amplification on these is moderately good… I have to have the volume cranked up relatively high to really hear things, but it’s definitely an improvement over just basic ear pro. I would like the sensitivity to be a little better, but it definitely works. 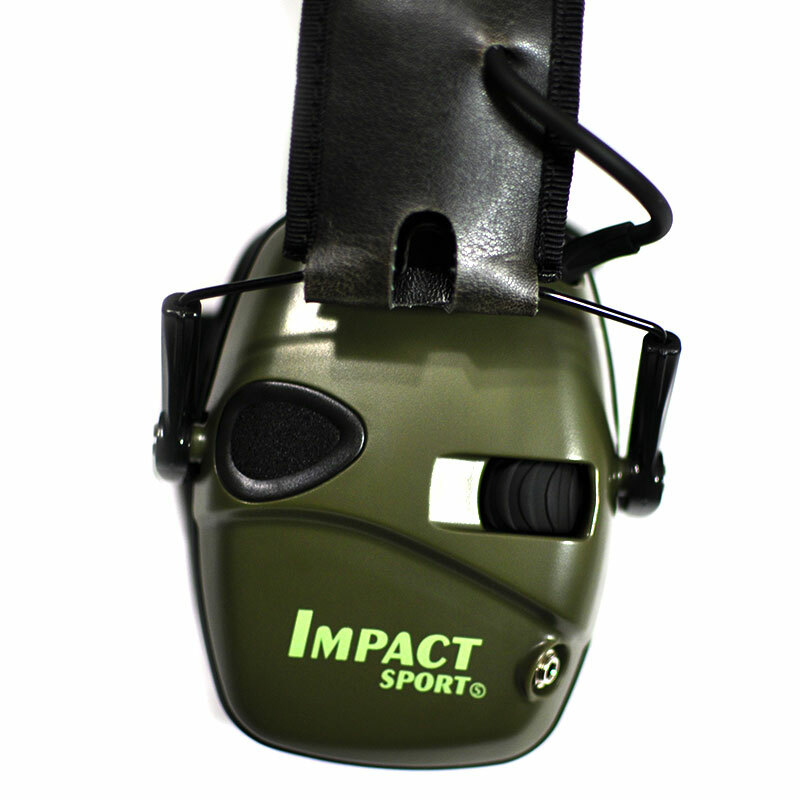 The perk of the sound amplification is that you can hear what is going on around you; If you’re at a training you can hear instructions clearly, if you’re out hunting you can hear animals and be extra aware of your surroundings. But, because of the electronics, 2 AAA batteries are required (and are included). The battery life is aprox. 350 hours (so the packaging says), and there is a 4 hour automatic shutoff. There is also a 3.5mm plug (and cable included) so you can connect a phone, iPod, MP3 player or radio. Having the ability to connect some form of communication device is never a bad thing, but I can’t see connecting an MP3 player and listening to music while shooting; that sounds like a safety hazard to me… But it’s there if you need it. Over the ear protection is generally, in my opinion, less comfortable than in-ear protection. Some people tell me they can’t stand having something stuffed in their ear, so they only use over the ear protection. But I’ve always been a fan of in-ear protection. It’s cooler in the summer, and doesn’t interfere with shooting rifles. 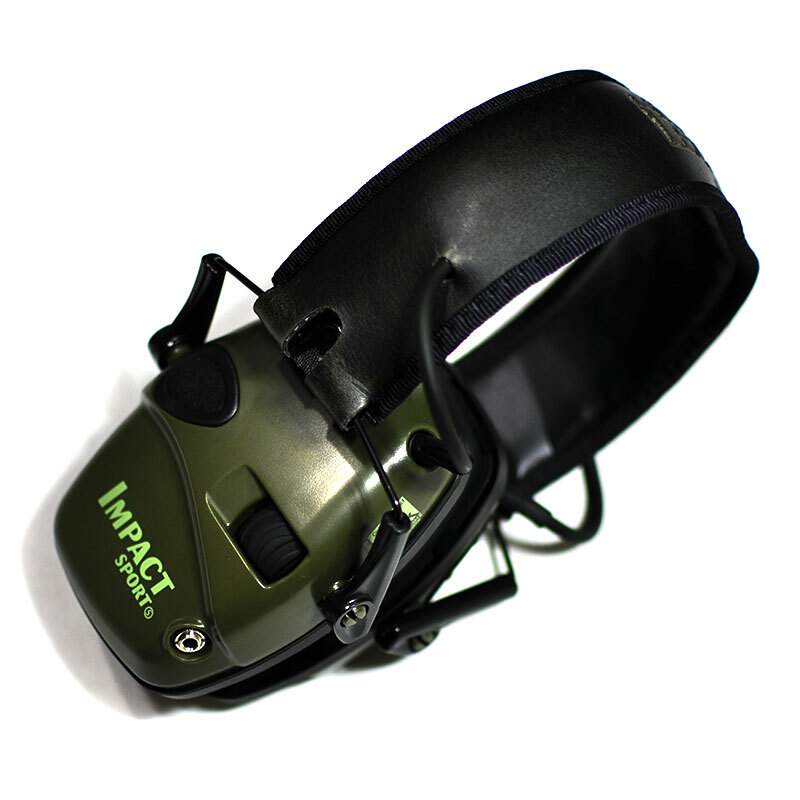 With the design on the Impact Sport ear pro, they are quite slim and compact, they don’t greatly interfere with the rifles that I’ve tried them with; they are very comfortable, light, and offer decent sound amplification and protection. 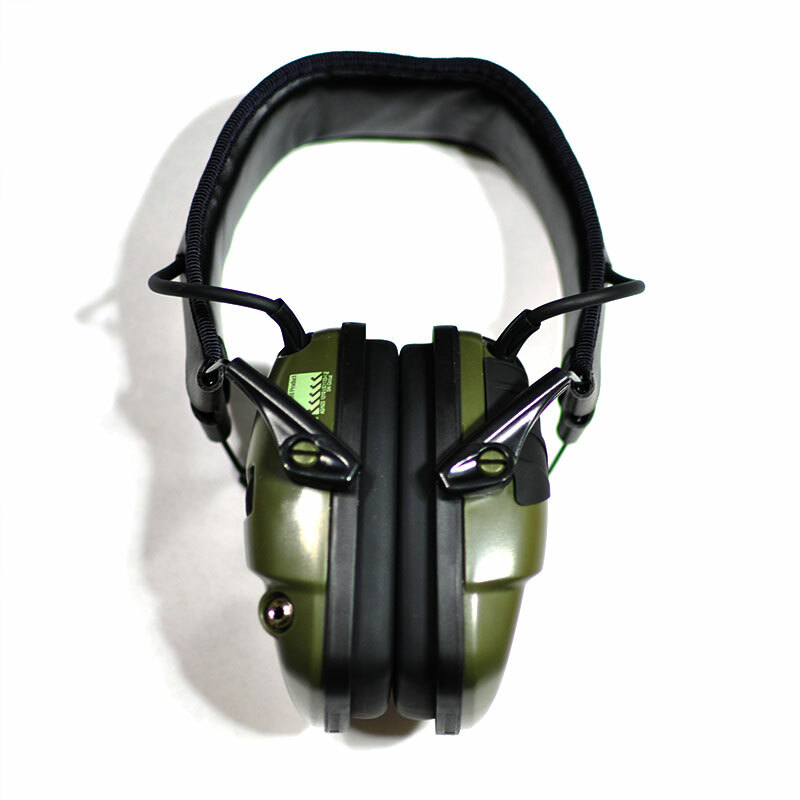 Though, if you shoot rifles that have a high cheek weld, I think any over the ear protection would be a nuisance. But as far as over the ear protection goes, these are some of the most comfortable ones I’ve ever used. A tip that was offered to me from a friend, and I would imagine applies to all over the ear protection, is that you should dry the earmuffs (the part that presses against your head) if you have been sweating, or they get damp. This will help keep the earmuffs from sticking together when you put them away and they dry. If they stick together, you risk tearing the padding when pulling them apart. In short, these are nice ear pro. They are light, durable, and offer basic sound amplification and have options for connecting external sound inputs. They work well and I hope to get many years of usage out of them (as everyone I know who has them has). If you want to pick a setup, you can get them here. I definitely recommend you check them out, and I’ll see you at the range!